Murder Freshly Baked has released! It should be arriving at your local store soon, and it is available now through all on-line outlets as well. You can find all the purchase links here. * You will also get to meet Mocha, a service dog who helps people with PTSD. This was truly amazing, and everything you read about Mocha is true. You can learn more about ICAN here. * This entire series takes place at the Amish Artisan Village, a fictional location based on the Essenhaus in Middlebury, Indiana. This week I wanted to share with you a little bit about my newest release, Protected. This is book 2 in my Jacobs Family Series. Book 1, Hidden, was about Dana–who works for Homeland Security in Taos, New Mexico. Successful in her job, it’s not until she’s up against a desperate criminal that she realizes her needs for others and her need for faith. Protected is about Erin, Dana’s sister. She lives in Livingston, Texas–the town they grew up in and operates an animal rescue service. Erin is actually more comfortable with stray animals than she is with people, which is sort of understandable given all she’s been through in her life. When she answers an emergency call and heads out into the East Texas woods, she finds more than she unexpected. She finds a whole different life. Will she have the courage to embrace it? Can she rediscover the faith of her childhood? And what of Travis Williams, her social worker. How does he fit into the picture? Protected is a completely separate story from Hidden, and you don’t need to have read Hidden first. Together these books are the stories of two sisters, the hurt they’ve endured and how God brings friends, faith, Godly men, and hope back into their lives. Hidden is available in print ($11.99) and ebook ($0.99). Protected is currently available in ebook ($3.99), and I will be offering it in print before the end of the month. Prices are correct at the time of this post, but please confirm before you hit the purchase button. Thank you so much for supporting Christian fiction. I thought I’d spend the next few weeks introducing some of my writing to you wonderful folks who stop by my blog. If you’ve been here all along, you’ll be familiar with most of these. If you’re new, then you might find something you didn’t know about. Either way, I hope you enjoy the spotlights. This week I wanted to share with you a couple of specials. My novella, Where Healing Blooms is now available as an individual ebook at Amazon, B&N and all ebook retailers. This story was my contribution to An Amish Garden. I very much enjoyed writing Emma’s story, the story of a woman who God still has a plan for–in spite of the fact that she feels like she has lived her life. Amazon and B&N are also running a First in the Series sale. According to my publishers, Falling to Pieces will be $1.99 through the weekend, and A Promise for Miriam will be on sale through next week. If you haven’t tried these books, I hope you will. If you have tried them, please share this post with a friend. And for you folks who only read paper books, I’ll have a special to share with you next week. We’ll also have Beth Shriver visiting us and giving away a book. So be sure to check back! Books, books and . . .
For the month of March we are focusing on books! I am an avid reader, and I think most of you are too. Below I’m going to share 3 of the books I’ve read recently. In the COMMENTS section (button is near the title of the blog) feel free to share something you’ve read recently. I’m sure others would be interested. I suppose “birthing” an Amish book is the same as birthing any other book. The process is long! I receive lots of reader mail asking WHY it takes so long for a book to come out! That’s a good question. I haven’t done a fiction spotlight in quite some time. I read a lot, and I enjoy passing on little gems that I find. Jim Kraus definitely has written 2 wonderful books. 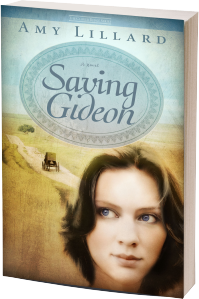 Today I wanted to highlight my friend’s book, Saving Gideon. Written by Amy Lillard, this book is set in an Amish community in Oklahoma. I loved Amy’s “About Amy” page on her website. Visit it here and you’ll see why. 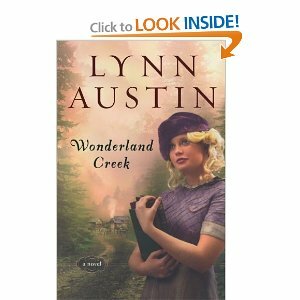 As I was reading the story, it did occur to me that this is just the type of book Amish folks would enjoy. It’s set in a simpler time, centers around normal people, and describes how the main characters overcome unusual obstacles. I know when one of the main characters is a horse that I’m going to love the story! Yes, the Amish do read contemporary stories. But they are choosy about what they read, and perhaps they should be. Perhaps we all should be. 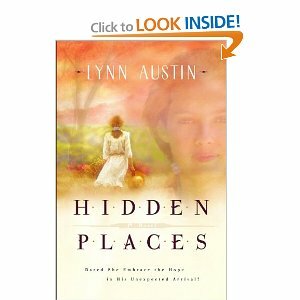 By the way, I also read Hidden Places by Lynn, and adored the story. She is one of the best authors I’ve read (Christian or secular) in a long time. I hope you will check her writings out. They are sometimes free in ebook format, and should be at your local library as well. p.s. – the winner from last Saturday’s blog, “Giving” is ALYSON JENKINS. I’ve sent Alyson an email, so if your name sounds like this but you did not receive an email — then it’s not you. No worries, we’ll have more give aways soon. Thanks everyone for entering!